This has been a very busy year for me; fieldwork for projects in Mongolia and France has been completed and a new project has begun in Nigeria, all against the background of a move to the University of York. 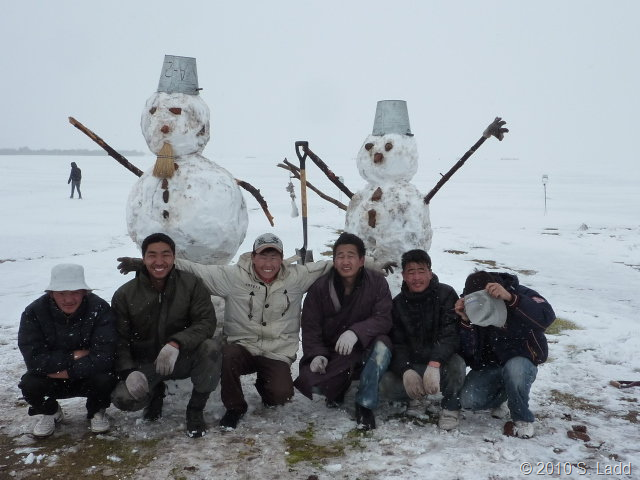 As those projects reach the end of their lifespans, however, I get to look forward to with some excitement to 2012 and new projects beginning in Mongolia and Tanzania just as other projects enter new phases of post-excavation analysis, including my work in Exeter. All in all, 2012 promises to be just as busy as 2011 and as I look forward to the new year I’d like to take this opportunity to thank all of my colleagues and clients for their help and support in the last year and to wish them A Very Happy Yule. It’s been (and continues to be) a very busy couple of months. So busy I’ve only just realised that this news page wasn’t updated during September. The month began with the second lot of French fieldwork for the Ecosal Interreg project. We were blessed with some very good weather for this. Analysis of the material collected earlier in the year has continued over the summer and initial results are promising, showing some differences as well as similarities with the British material. The second half of September saw me change my university affiliation as well as move location. I am now in the Archaeology Department at the University of York. This is a very exciting move that promises to help me continue to develop my career and my skills and knowledge. I’m presently in the University of North Carolina, Charlotte, where I’m a Visiting Researcher in the Africana Studies department. I’m doing some post-excavation work on material from two sites in Nigeria. The material is excellent and I’m very much enjoying working with it. It shows a very high diversity of taxa present and is also yielding some very good taphonomic information which will help in interpreting site-formation processes and butchery practices, as well as the usual economic and ecological information. 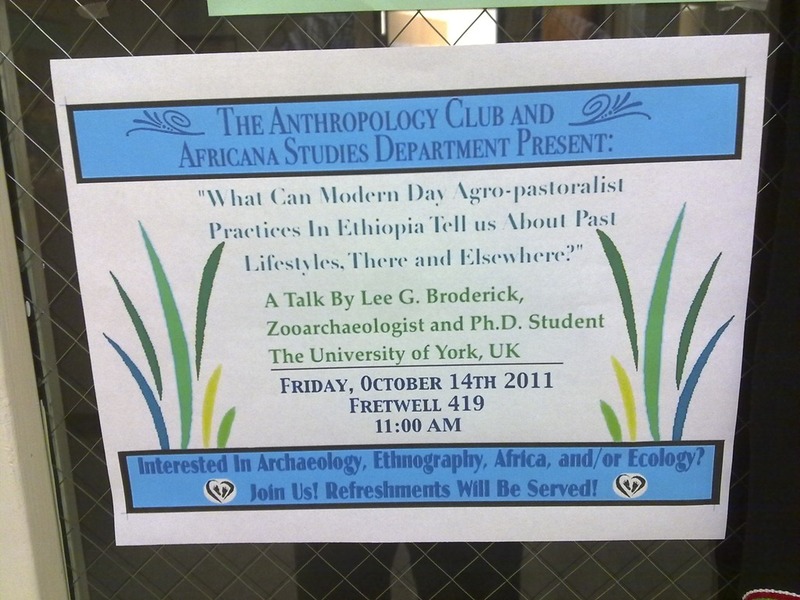 Finally, whilst in Charlotte I shall be giving a public lecture entitled “What Can Modern Day Agro-Pastoralist Practices in Ethiopia Tell Us About Past Lifestyles, There and Elsewhere?” in Fretwell 419 at 11am on 14th October.